This childhood nightmare isn’t scarey now! What a great lot of gleam, and that red is VERY red! Hmmm . 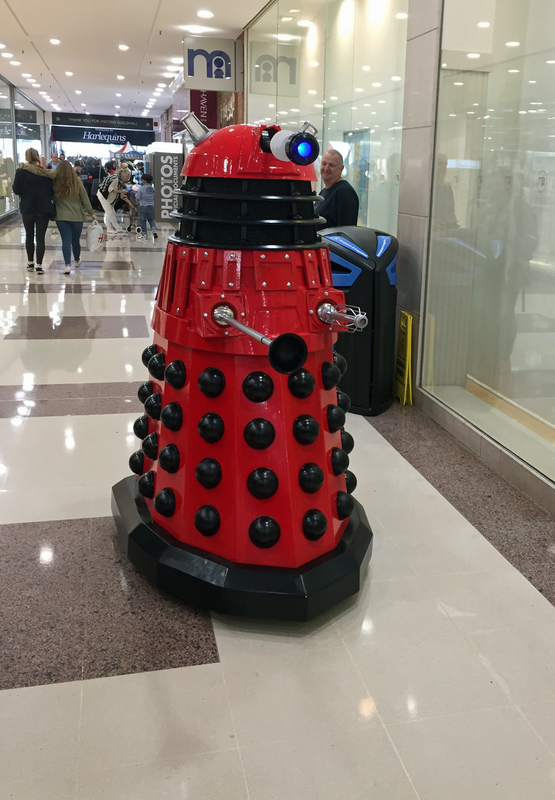 . . . . maybe not in a shopping mall in daylight, but if one came up behind me in the dark and suddenly said ‘exterminate’ I suspect I’d be looking for that sofa of my childhood to hide behind!